Trafford Council have pushed the frontiers for the Big Society still further today by u-turning on their promise not to replace paid library staff at two libraries with volunteers. This is not especially noteworthy in itself – a lot of councils are doing similar and blaming the dire needs of the moment – but the thing that really sticks in the mind with this one is that Trafford are (a) breaking their official policy that states that replacing paid staff with volunteers is ““.. an exploitation of the volunteer and a deprival of someone’s livelihood.” and (b) using the example of volunteer lifeboatmen as an argument for why it is OK to do so. Even leaving aside the point that that particular service was never actually a council/government service in the first place and so they’re not comparable in any way, one has to worry about this. When the act of giving up one’s spare time in order to save people’s lives can become a party political act, something new and dangerous has entered the picture. Culture, Media and Sport Select Committee Annoucement – Alan Gibbons. Select Committee on Library Closures announces dates and who is being interviewed. Vecinos Bibliotecarios – Biblogtecarios (Spain). The Mayor of Madrid has suggested that some of the staffing of two new libraries be volunteer, arguing that it is common practice in the USA. Some research shows that it is not common practice there, although of course the idea is catching on in the UK due to the current crisis/political philosophy. [Article is in Spanish but copying and pasting into Google Translate produces a readable account in English – Ed.]. Brent – Library cuts campaigners hold packed public meeting – Harrow Observer. 100-plus meeting told that it is likely to be next week when the Supreme Court decides whether than can appeal the council’s decision to close halve their libraries. 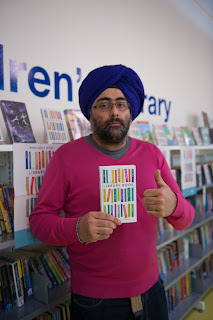 Croydon – National Libraries Day looms – Save Croydon Libraries Campaign. Lots happening in the UK but nothing in Croydon, with one event organised by supporters cancelled due to rules imposed on them. Report lists some other events in the UK and suggests ways that libraries can be supported even if the council itself appears to be not keen. Lancashire – £5.5m regeneration aim to lure more readers into Lancashire’s libraries – Citizen. “A successful pilot in West Lancashire last year saw a 35 per cent increase in new members. 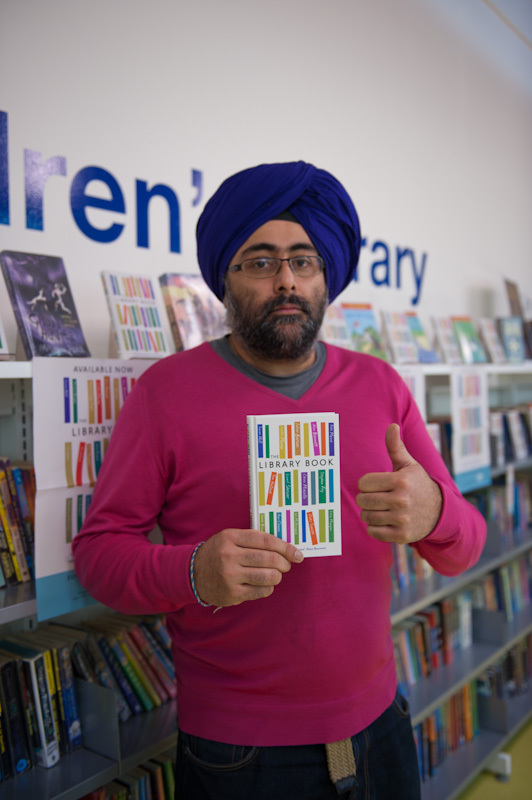 The campaign comes as the council is midway through a £5.5 million regeneration programme to refurbish its 74-strong network of library branches.”. Comments from public below article show the need to promote library is more pressing than ever. One comment suggests major staffing cuts but this is unconfirmed. “Hearing to decide matter whether the injunction should be overturned is tomorrow [Thursday].” Surrey campaigners tweet. Trafford – Breaking vow on volunteers is justified, says Trafford town hall chief – Manchester Evening News. “A town hall has defended its decision to break a formal promise not to replace staff with volunteers. Trafford council plans to use only unpaid members of the public in two of its libraries instead of paid workers. It says otherwise libraries will have to shut.”. Voluntary sector leaders disagree and it breaks a code of practice signed between Council and voluntary groups. “… an exploitation of the volunteer and a deprival of someone’s livelihood.” Trafford Counci’s own policy explaining why it should not replace paid staff with volunteers. A town hall has defended its decision to break a formal promise not to replace staff with volunteers. Trafford council plans to use only unpaid members of the public in two of its libraries instead of paid workers. It says otherwise libraries will have to shut. Print article This entry was posted by Ian Anstice on February 1, 2012 at 11:16 pm, and is filed under Uncategorized. Follow any responses to this post through RSS 2.0. You can skip to the end and leave a response. Pinging is currently not allowed. Lifeboat crews (men and women) include a PAID cox and engineer, and — importantly — are NOT supported by the council or the government; their equipment and buildings are financed entirely by donations. And asking for donations for the Library will reduce the donations to the RNLI. Always ensure brain is engaged before operating mouth!